Excellent quality protein for use before bedtime. It helps protect the body against the night catabolism, provides high-quality building material for up to 6 hours after consumption! PERFECT SOURCE OF PROTEIN IN NIGHT. Excellent quality slowly absorbable protein for use before bedtime. It helps protect the body against the night catabolism, provides high-quality building material for up to 6 hours after consumption! VERY TASTY high-protein nutrient creamy. 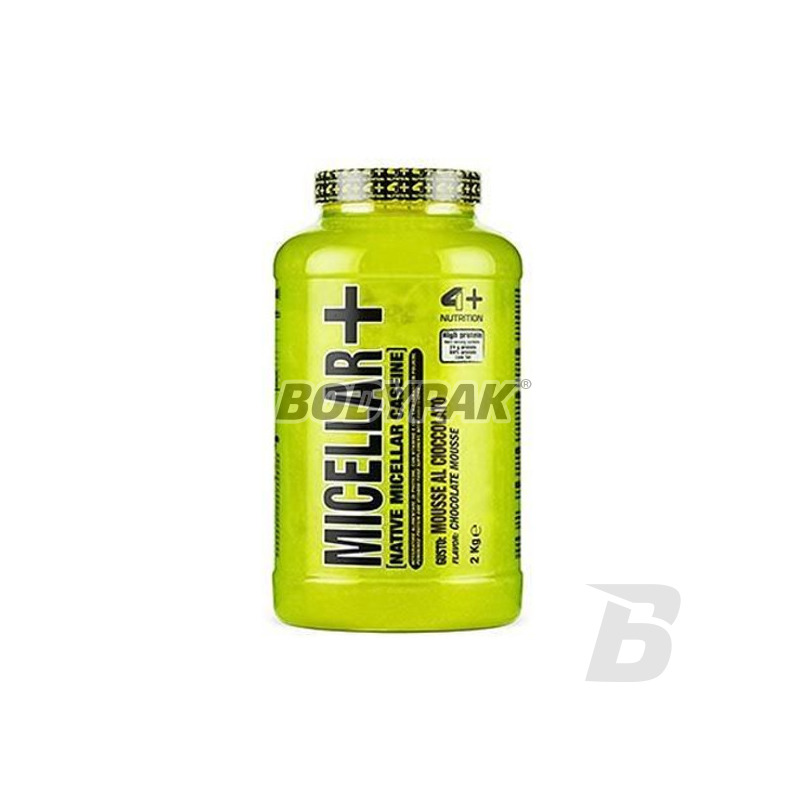 4+ Micellar + has extended absorption time - up to 8 hours after ingestion supplies the muscles into amino acids and ingredients inhibiting catabolism. It provides a natural form of casein so that owes its high quality. The product is also characterized by good taste and solubility, so you will not have major problems with the preparation of each serving! The value of supplements is at a high level thanks to its unique aminogramowi. 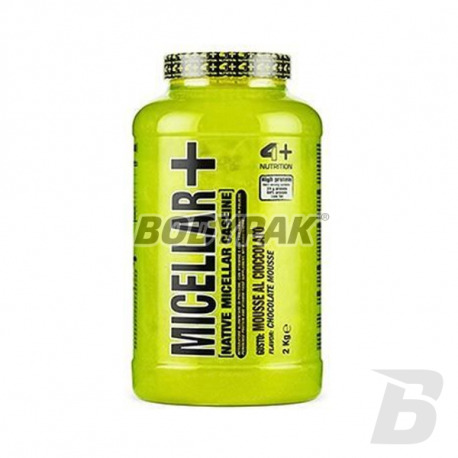 4+ Micellar + - protect your muscles against catabolism! Składniki (dla smaku truskawka z bananem): kazeina micelarna; emulgator: E322 (lecytyna sojowa); aromaty (truskawkowy i bananowy); substancje słodzące (sukraloza, sacharyna), witamina B6, witamina B2, witamina B1. Jedna z najciekawszych kazein.. solidna koncentracja, dopracowany smak i dobra rozpuszczalność - niemal idealny produkt!